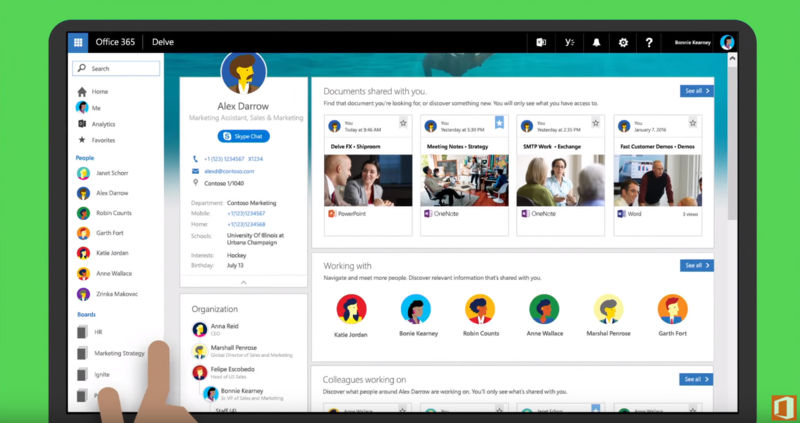 Microsoft announced an update to Office 365’s people profile experience in Delve. According to the company, the update makes it easier to discover relevant content, connect with colleagues, and find experts within a user’s organization. “Delve is more useful and intuitive than ever thanks to the new profile page,” a representative for Microsoft said in an email. Included are consolidated profile and activity pages, which enable users to learn more about their colleagues (i.e. summary of expertise, etc. ), start a Skype chat, call, and email a colleague from their profile page. There are also new customization options that let users add favorite profile pictures and unique backgrounds and edit their expertise. Finally, the update lets users locate documents more quickly from the profile page and see documents that other users are working on (based on permissions). The new experience will roll out to First Release tenants over the coming weeks and to all eligible Office 365 customers by Q2. More info here.